The Fed chair tried to assure that things aren’t so bad after dismal May payroll figures. She cited positives, like rising wages, but also gave a laundry list of risks. It’s a transparently awkward balance to allow the Fed to stay steady on rates and signal the economy’s OK. Chair Janet Yellen in Washington. She noted other positive improvements in the labor market, such as increasing compensation. Average hourly wages rose by 5 cents in May to $25.59 from April, the Bureau of Labor Statistics said on June 3. She also emphasized that the Federal Reserve was not on a preset course and the possible risks were slowing demand and productivity, inefficient inflation growth and global risks, such as the potential exit of Britain from the European Union. 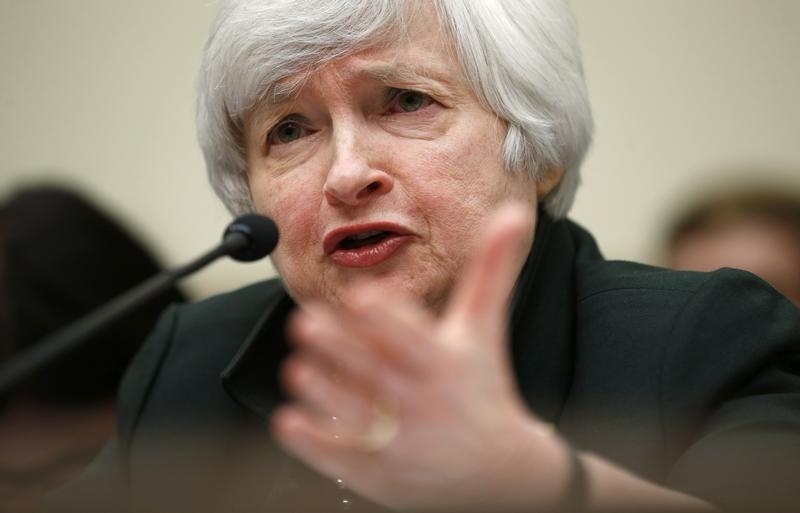 She added that gradual interest-rate rises were likely warranted but she did not give a timetable. The central bank meets for two days starting June 14 to consider an interest-rate rise.